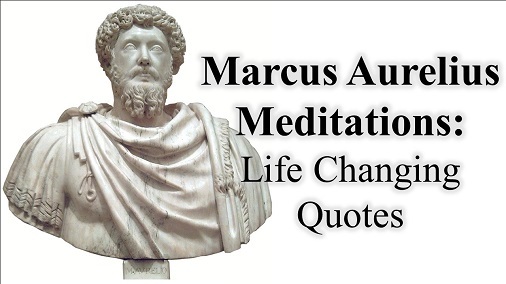 Marcus Aurelius Meditations: Life Changing Quotes - Motivate Amaze Be GREAT: The Motivation and Inspiration for Self-Improvement you need! 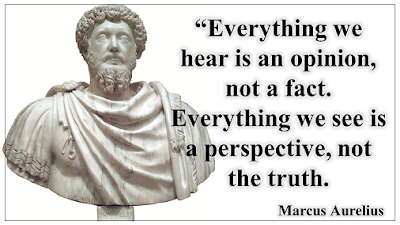 One of the last of the Five Good Emperors of Ancient Rome, Marcus Aurelius, was also a great philosopher. He wrote, while in military campaigns, his own meditations about how to deal problems in pressure situations- It serve him as a guidance and a self-improvement tool. 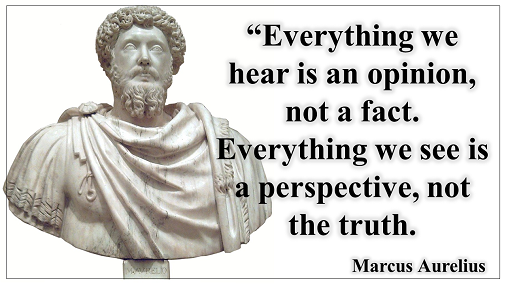 Later on, those writings collected over 12 books, were given the name "Meditations", through time those Marcus Aurelius's meditations have influenced generations, and it remains as a self-improvement philosophy monument. The Meaning Behind: Less talking, more doing. Become what you advocate. People follow examples they don't follow words. If you want to influence someone to do something, lead them by example not by giving orders or arguing. The Meaning Behind: It's your philosophy that determines your happiness. Happiness it's not a casual thing, work on your life philosophy, shape your thoughts and happiness will be there. The Meaning Behind: Imagine that today was your last day on this earth. Would you regret something you didn't do? That's the point here, "begin to live": do those things you would regret not doing if this was your last day here. Live life to the fullest so you can be unafraid of not living. Like Les Brown once said, live fully so you can die empty. The Meaning Behind: Whenever you get angry about something, you're doing worst to yourself be getting angry. Control your emotions make use of them, don't let them use you. The Meaning Behind: Remember this, people have different perspectives, so opinions will come, opinions will go. Accept this, be open to listen and move on. Don't be stuck by pointless fights over who said what. Be free of all the negative thoughts don't waste time and your mind on it. The Meaning Behind: Be yourself, so you can find your oneself. Don't follow what other people think. you are a unique individual, with your own skills and thoughts on life, what others think is pointless. You can bring to the table what no one else can. So be brave enough to follow your intuition and your own dreams regardless... even if they call you insane. The Meaning Behind: Hurt people hurt people. Don't become of them just because they hurt you. Be different, be yourself with your own beliefs and values. The Meaning Behind: Practice self-control. Use what you have, not what you don't control. You can control your mind, what happens on the outside doesn't affects you. Situations itself don't matter, what matters is how you deal with those situations.